Mobile devices can be used to save several types of personal information such as contacts, photos, calendars and notes, SMS and MMS messages. Smartphones may additionally contain video, email, web browsing information, location information, and social networking messages and contacts. Mobile devices are often a key factor in criminal cases, intrusions, IP theft, security threats, and more. This course help to Understanding how to leverage the data from the device in a correct manner can make or break your case and your future as an expert. Mobile device forensics is best known for its application to law enforcement investigations, but it is also useful for military intelligence, corporate investigations, private investigations, criminal and civil defense, and electronic discovery. EHE (Ethical Hacking Expert), SFICH (Star Forensic investigator in Computer Hacking), SPTE (Star Penetration tester Expert), Digital Forensics investigators, information security professionals, risk assessments Professionals, Mobile Developers, anyone who deals with implementation, testing, security hardening of mobile devices, Tele communication Security department. Defending common attacks through Mobile Device Security Hardening, understanding what works best for corporate users. understanding of how mobile devices are hacked. Analyze how to investigate cell phones, PDAS, and any other mobile devices that is able to store data and communicate. Investigating the processes involved in Mobile Forensic Acquisitions, Analysis and Reporting of Mobile Device evidence. Examining the extracted data and utilizing these results for internal investigations or in civil/criminal litigation. Refine current mobile forensic processes by addressing its unique problems of preserving crucial data and producing valid results. Protect your organization by retrieving stolen data and incriminating evidence from communications devices used by rogue employees. Protecting your organization by conducting proper & regular IT Audit investigations on mobile devices to ensure no misuse of company information. 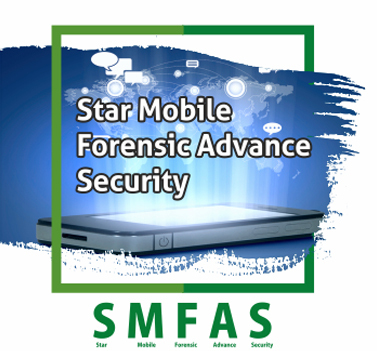 Introduction to Star Mobile Forensic and Advance Security Expert. Exploring Mobile Devices and Hardware. Mobile Forensic VS Computer Forensics. Process Involved in Mobile Forensics. Understanding the Mobile OS Architecture. Threats associated With Mobile Devices. Applying Reverse Engineering on Mobile Software packages.